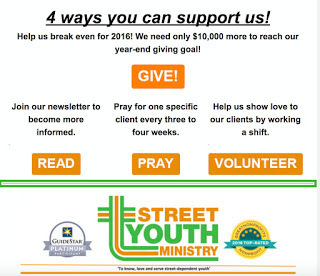 Street Youth Ministry: Have any treasures in your 'lost & found'? 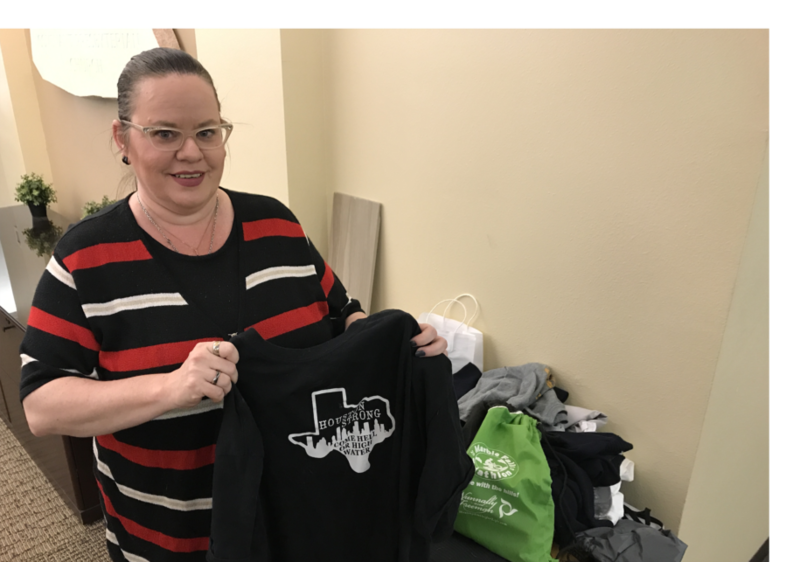 Jennifer at Covenant Presbyterian displays a t-shirt that arrived in the lost-and-found; after a suitable period if it is not claimed, she'll donate it to SYM. We'd like our other church and ministry partners to do the same. Our pledge is to find homes for the times. If a staff member lives near you, we will be happy to arrange pickup. Otherwise, we ask that you find a volunteer who might bring them to our Drop-in.